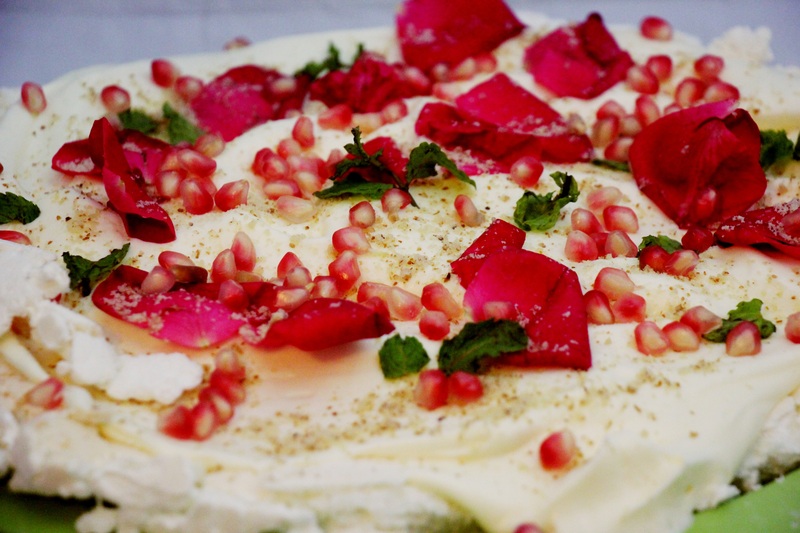 Watching chefs make pavlova on screen always made me want to eat. I am not foond of sweets much, hence never tried it. Few days back I invited my cousins and wanted to cook unusual food. Thus, I set my mind on Pavlova. The reason is a) it adds glamour and b) I am sick of cake. I followed Nigella Lawson’s recipe with my twist. This recipe can feed up to 5 to 6 people comfortably. Beating the egg white is a tricky thing. Remember to keep the utensils grease free for meringue to stiffen up quick. The eggs should be in room temperature. No, caster sugar is not icing sugar, it is normal white sugar but finer in texture. If you don’t have caster sugar, you can put it in processor and grind, you don’t need to sift. For the almond flakes you can buy it, or you can soak the almonds for few hours, pull off the skin, cut in nice flakes, dry and put in oven and roast for 10 minutes or until it gives out the nutty flavour. You can put anything on top of it. Any fruit will do, any cream works just fine. Here is the recipe for you to try. 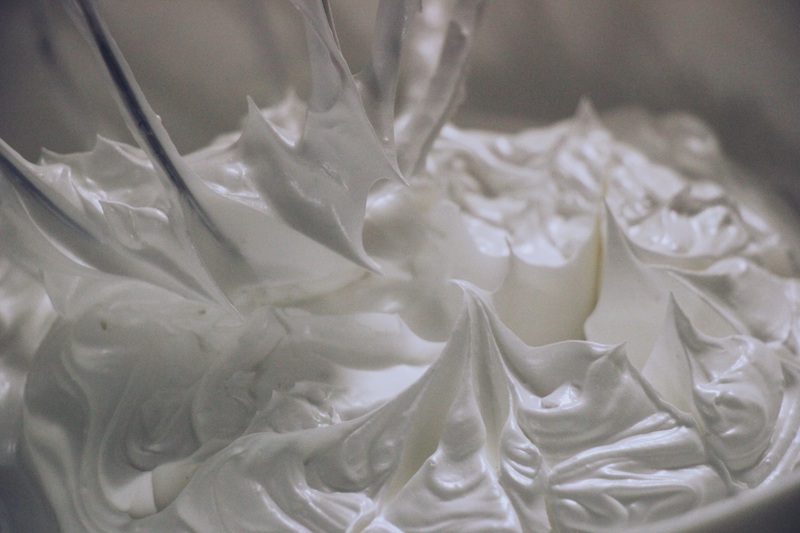 Beat the egg whites until soft peaks form, then beat in the sugar slowly, a spoonful at a time until the meringue is stiff and shiny. 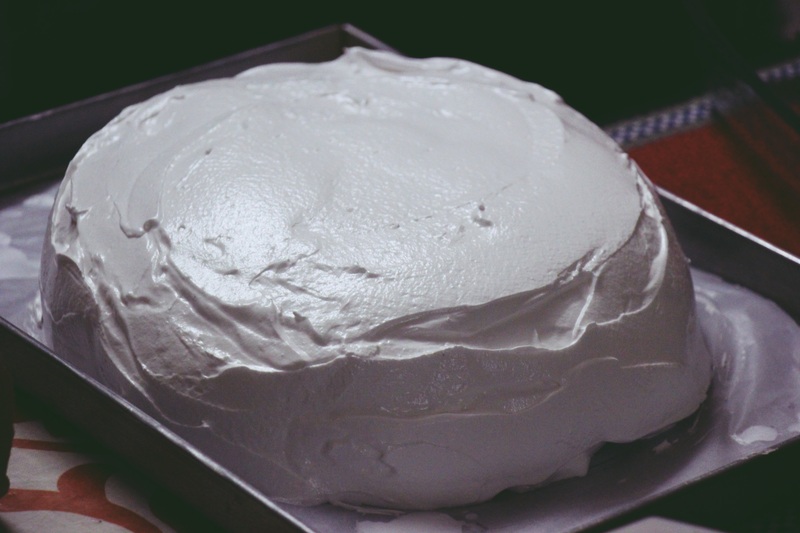 Sprinkle the corn flour over the meringue and gently fold until everything is thoroughly mixed in. Mound and put on a flat plate on a 6 inch circle. Place in the oven, then immediately turn the temperature down to 160°C and cook for 1 hour and 15 minutes. Mound onto the lined baking tray in a fat circle approximately 6 inches in diameter, smoothing the sides. Switch off the oven and leave to cool inside, keeping the door open. Bring out when the oven completely cools. 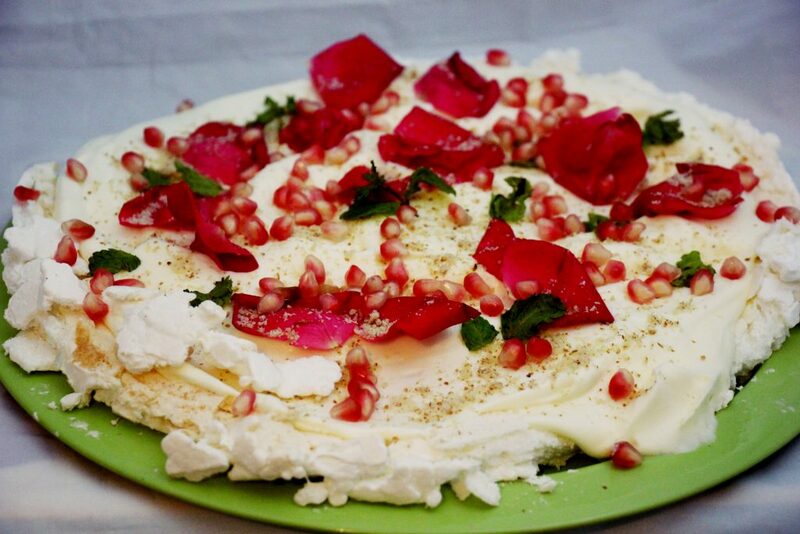 When you’re ready to eat, turn the pavlova onto a large flat plate or board. Spoon the whipped cream on top. Sprinkle the almond flakes and cut some fruits and put it on the cream. It cracked slightly but tasted heavenly.